This loose tobacco is the finest cut of pipe tobacco available and comes in a huge variety of strengths and aromas; you can pick from a gold or dark tobacco blend or a 50/50 mix of the two. Each of these blends comes with a range of aromatic options, such as vanilla, blackcurrant, Toffee and many more. Easy burning with a subtle taste. My absolute favourite pipe tobacco. Sweet, cedery and leathery. The only real pipe tobacco that replaces stogies. Takes a little care when packing but when correct, its the best! Excellent service from this company. 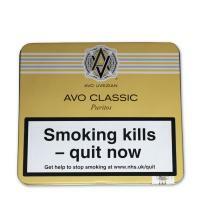 The tobacco is of a high standard and considerably less than any other supplier.